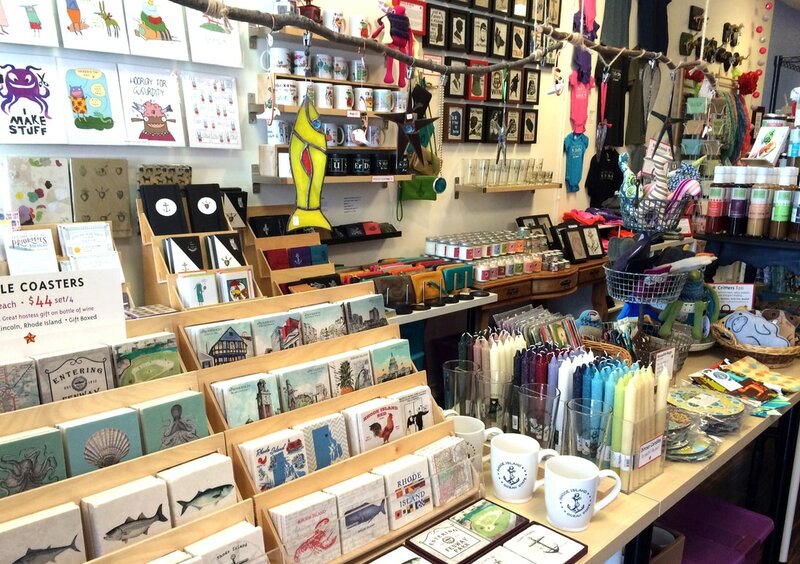 Mon.-Sat., 10 a.m. to 6 p.m.
Rhody Craft sells a carefully curated, eclectic collection of locally handmade art and craft and more. We have unique cards, prints, fine art, glass, wood, baby bibs and booties, onesies, journals and paper goods. We carry handbags and ceramics, t-shirts, home goods, vintage jewelry, art jewelry, and silver jewelry. We have teacher gifts, gifts for grads and dads, moms, friends, pretty much everyone. We are a Rhode Island gift shop located on Hope Street in Providence.